Learn how to employ serial transceivers in your 7 series FPGA design. Understand and utilize the features of the serial transceiver blocks, such as 8B/10B and 64B/66B encoding, channel bonding, clock correction, and comma detection. Additional topics include use of the 7 Series FPGAs Transceiver Wizard,. synthesis and implementation considerations, board design as it relates to the transceivers, and test and debugging. This course combines lectures with practical hands-on labs. * This course focuses on the Kintex-7 architecture. Check with your local Authorized Training Provider for the specifics of the in-class lab board or other customization’s. Lab 1: 8B/10B Encoding and Bypass – Utilize the 8B/10B encoder and decoder and observe running disparity. Learn how to bypass the 8B/10B encoder and decoder. Lab 2: Commas and Data Alignment – Use programmable comma detection to align a serial data stream. Lab 3: Clock Correction –.Utilize the attributes and ports associated with clock correction to compensate for frequency differences on the TX and RX clocks. Lab 4: Channel Bonding – Modify a design to use two transceivers bonded together to form one virtual channel. Lab 5: Transceiver Core Generation – Use the 7 Series FPGAs Transceivers Wizard to create instantiation templates. Lab 6: Simulation – Simulate the transceiver IP using the IP example design. Lab 7: Implementation – Implement the transceiver IP using the IP example design. 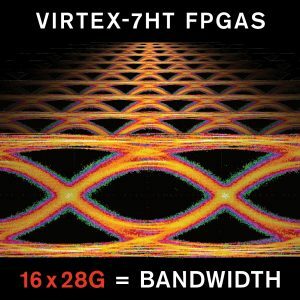 Lab 8: 64B/66B Encoding – Generate a 64B/66B core by using the 7 Series FPGAs Transceivers Wizard,.simulate the design, and analyze the results. Lab 9: Transceiver Debugging – Debug the transceiver IP using the IP example design and Vivado debug cores. Lab 10: IBERT Lab – Create an IBERT design to verify physical links. Lab 11: System Lab – Perform all design steps from planning the design, generating the core,.integrating the core into a design, simulating, implementing and debugging the design,.and optimizing the link parameter using an evaluation board.